When I don’t know what kind of meat to make for dinner, my safest card to play is always chicken wings. 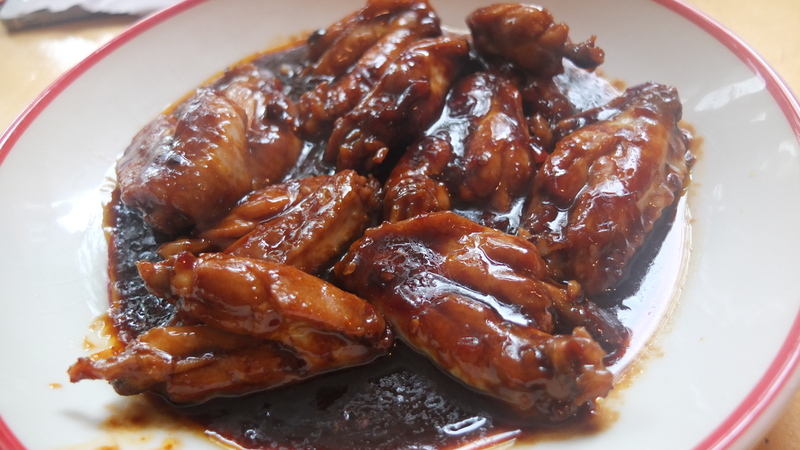 Here is one of my best chicken wing recipes. There was a time that Bram, his brother and I finished 55 of these chicken wings during dinner, and I think it was within 1.5 hours. It was some crazy eating back then, not anymore as you can see I reduced the amount to only 350 grams which is about 10 chicken wings. 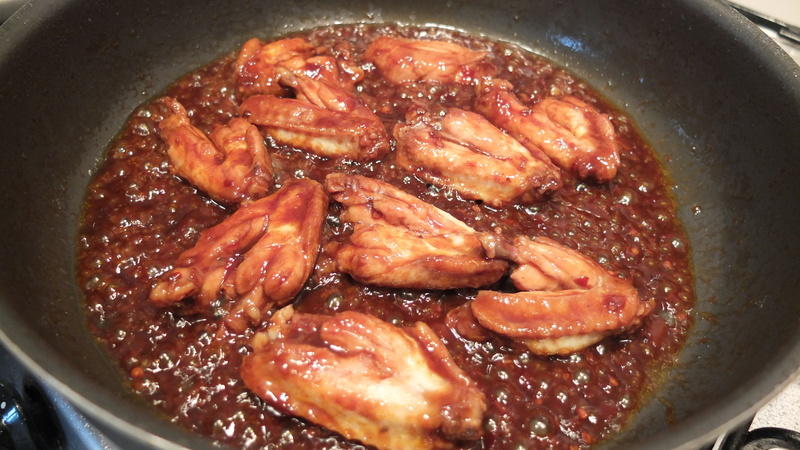 * I used 350 gram of chicken wings for two persons. 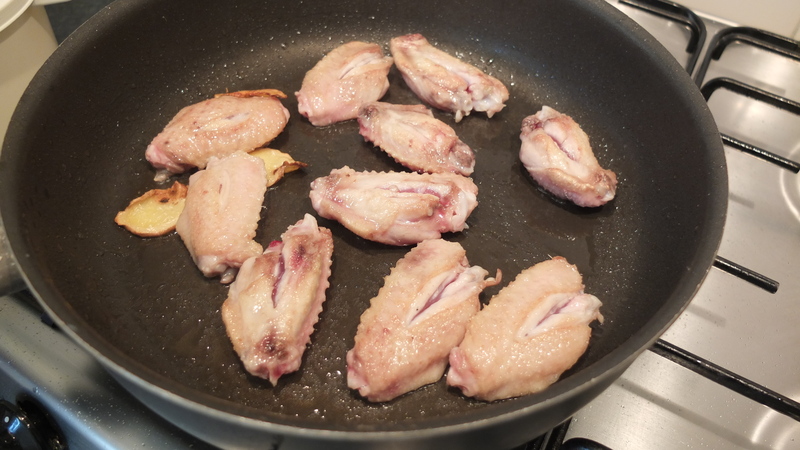 First of all you will need to cut the chicken open in the middle for marinating purposes, so all the flavor really gets in the wings. 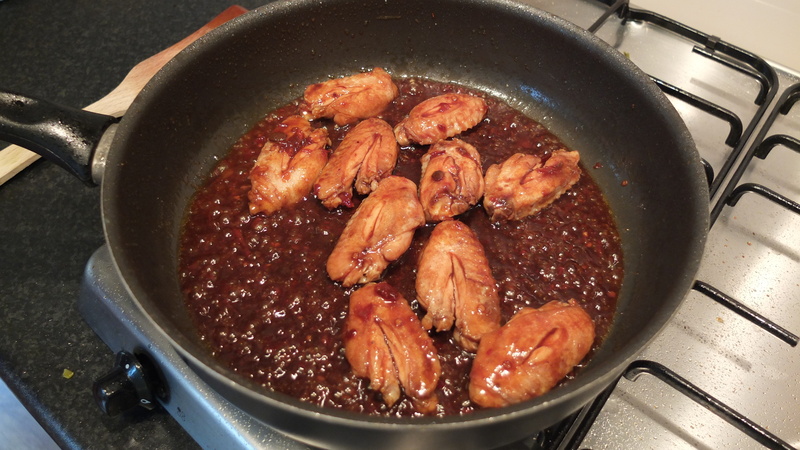 Heat up a pan and some oil and put some slices of ginger in the pan. 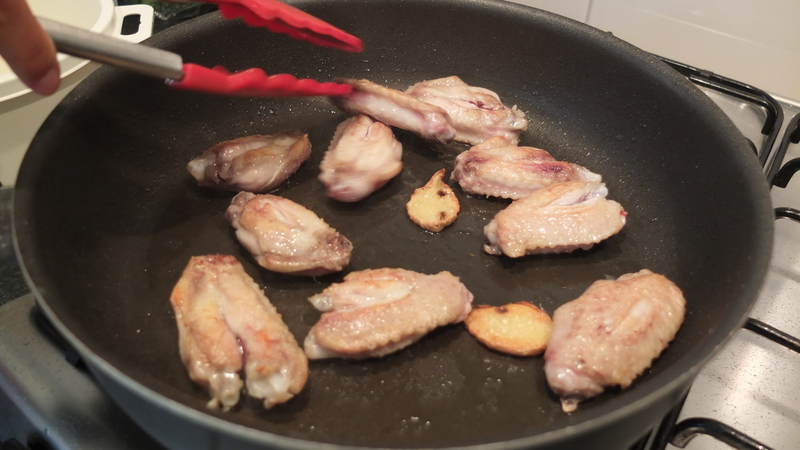 When the oil gets very hot, start frying the chicken wings until both sides turn light brownish. 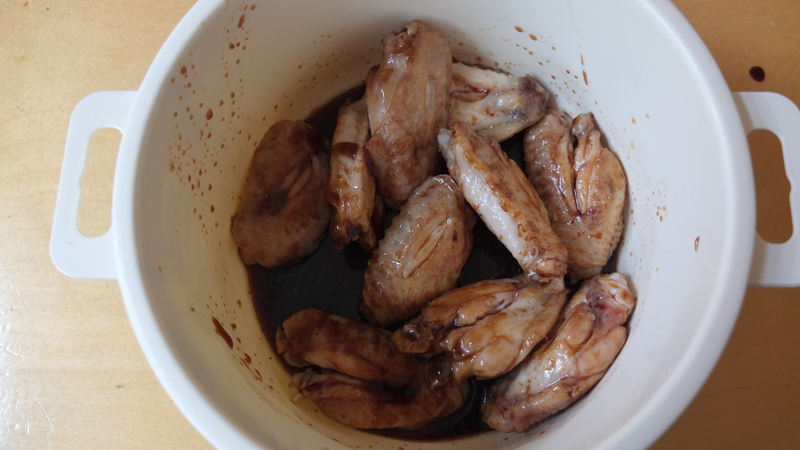 Then you get find a pan or big bowl for the chicken, for 350 grams of wings I used 1 and half table spoon of each sauce (light soy, dark soy and oyster), so add the ingredients shake it well and let it marinate for 20 minutes. Because the soy sauce is salty enough, it is really not necessary to put salt in the dish anymore. After 20 minutes, you can stir fry them. 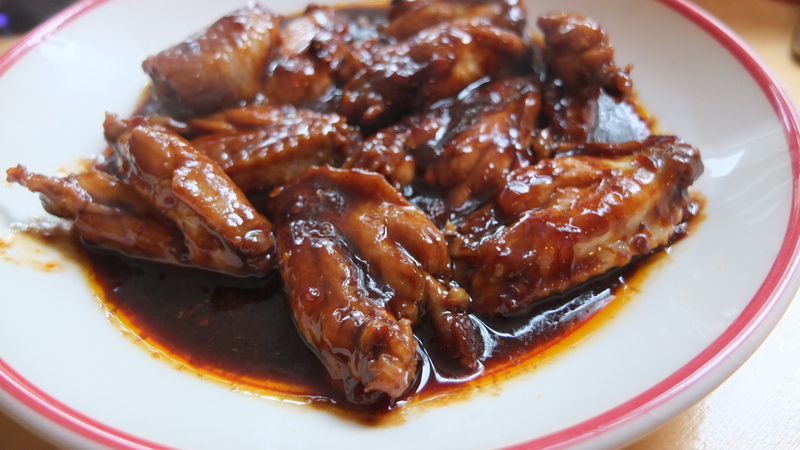 If you have more wings than 350 grams, you can increase the amount of sauce by proportion, also you can marinate them longer than 20 minutes. 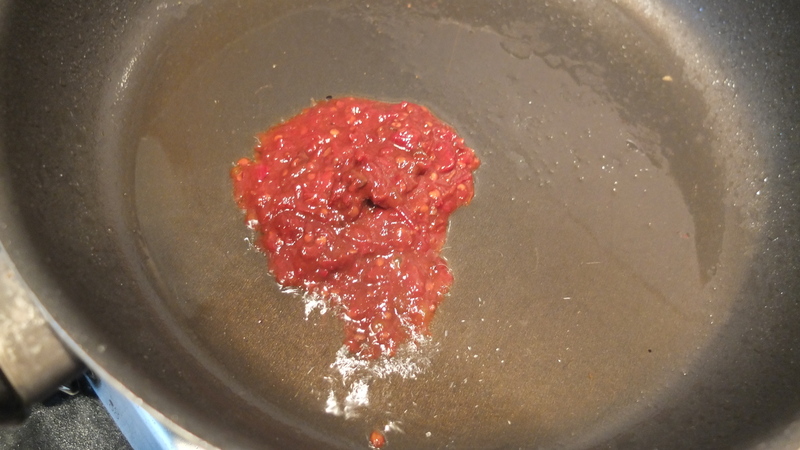 If you like it spicy fry them with some hot bean sauce, if not, you can skip this step. 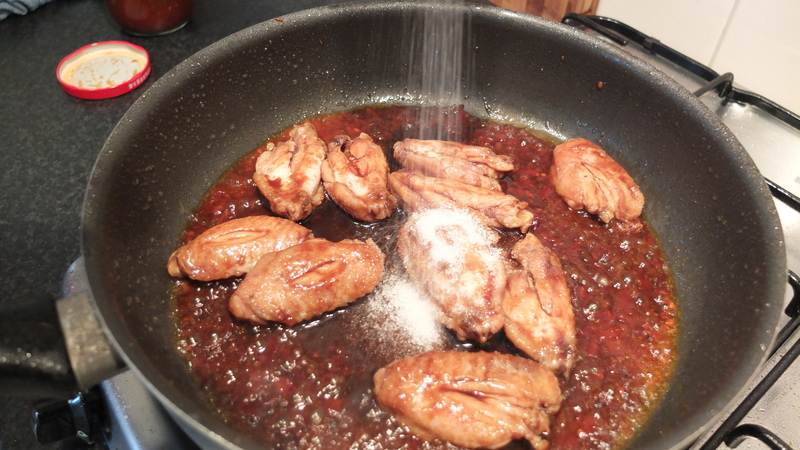 REMEMBER to add 1 generous tablespoon of sugar while you stir fry the wings, otherwise they will be very salty. 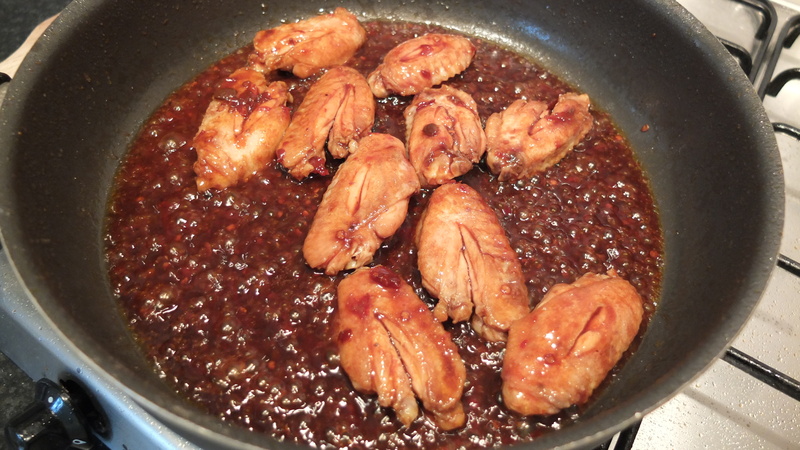 The sugar also helps to caramelized the sauce. 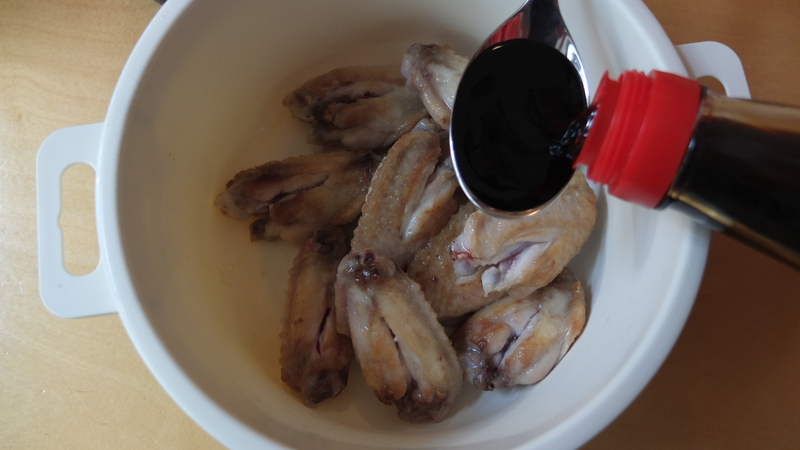 Make sure all the sauce coats and is mixed with the wings, pour half glass of water over the wings to make sure that the chicken will be fully cooked. 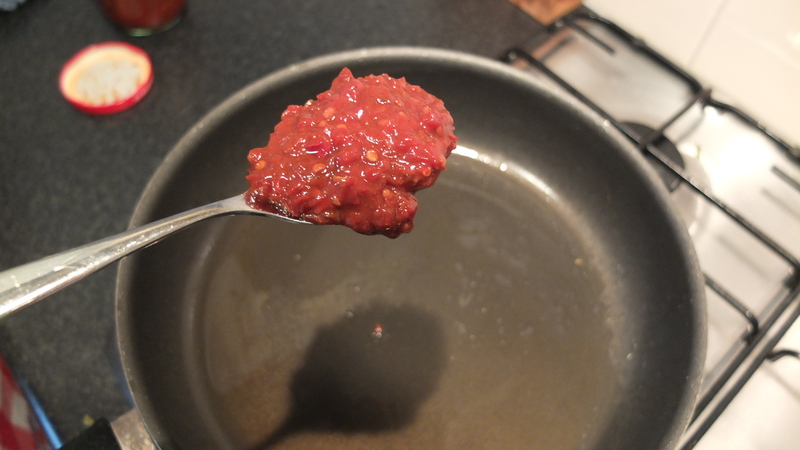 Cook until the water is reduced and the sauce is a little bit stick, now you can serve them. 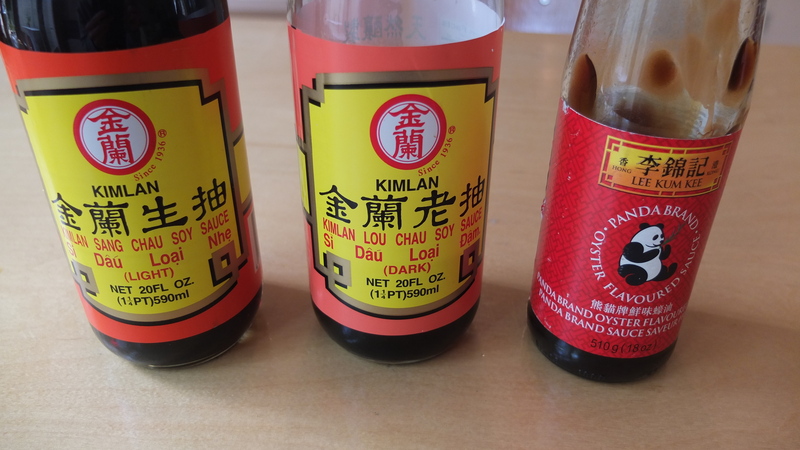 Hi Ema, I never tried fish sauce, but I think it is worth to try!